There is no woman who can live without makeup. 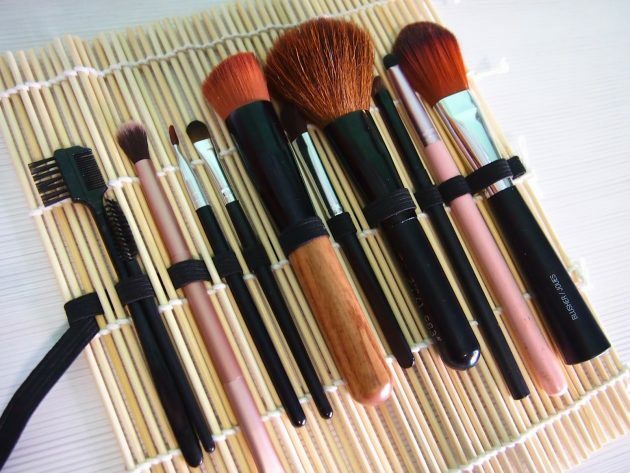 And whether you are the type of woman who has several beauty tools or have a big makeup collection like a makeup pro, you need to organize it right. 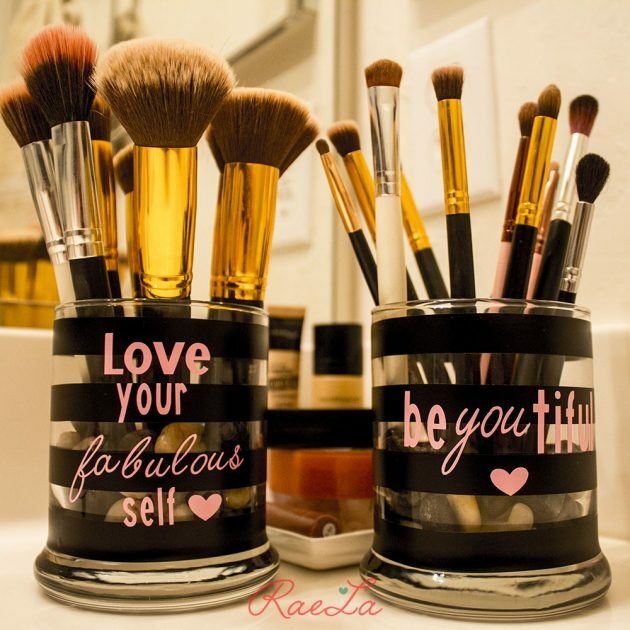 So, you may choose to buy some or maybe even try to make some makeup organizer on your own. And since we are always here for you to get you inspired, today we want to show you 14 DIY Makeup Organizers that you can try to make. 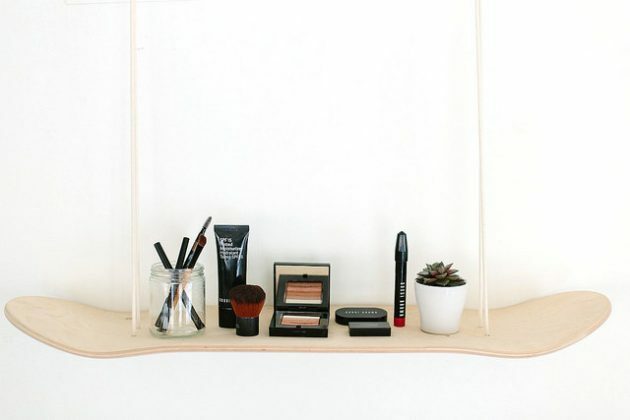 These DIY makeup organizers are easy to be done and they won’t cost you much. This is because in most of the cases you already have the materials at home and you simply repurpose them. 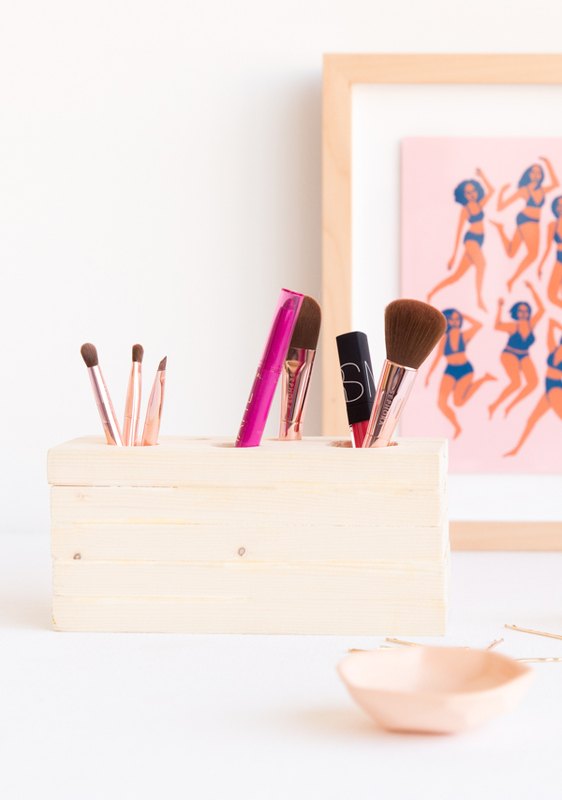 So, whether you need a makeup brush holder, a lipstick holder or maybe even an organizer for all of your makeup tools, we have got you covered with these DIY projects. Let’s check them out and choose which one of them you will try to make. Follow the links under the photos to get to the full tutorials. Enjoy! 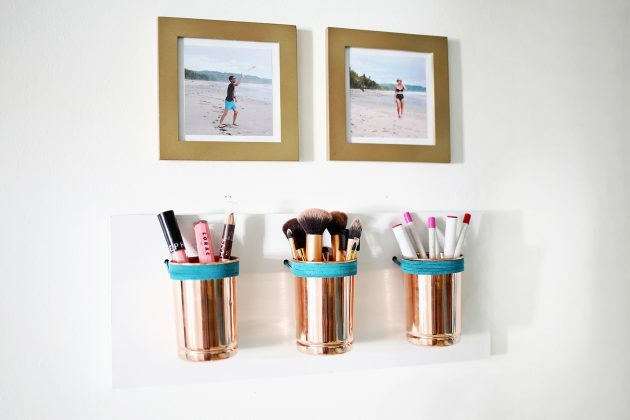 This organizer looks quite expensive, because of the rose hue of the copper cups. 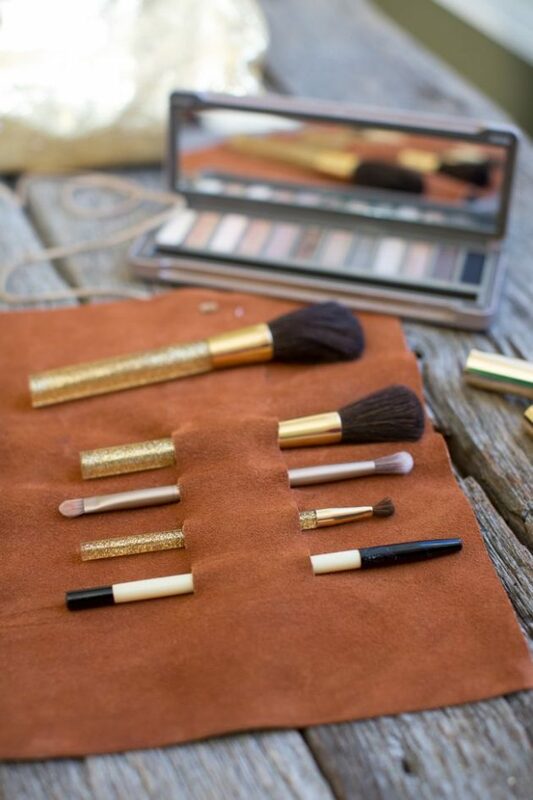 They are attached with leather straps to a wood board, making the perfect storage solution for your makeup tools. 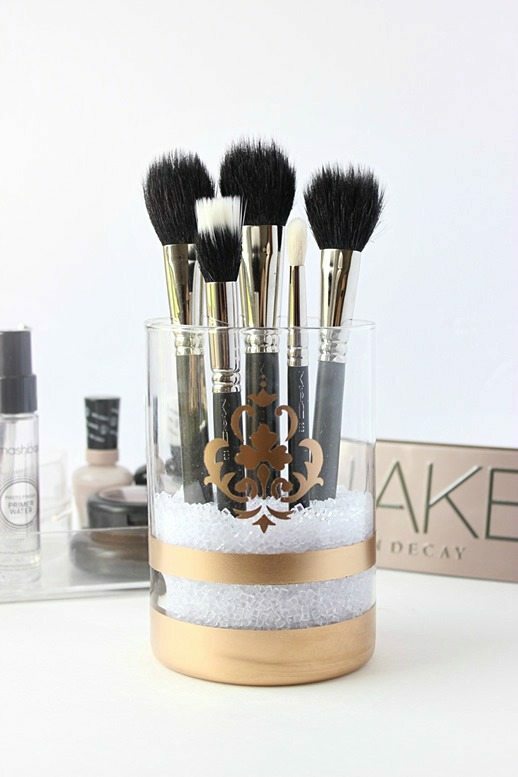 A simple vase can be spray painted in the way you like and when filled with tiny pebbles makes the perfect holder for you makeup brushes. 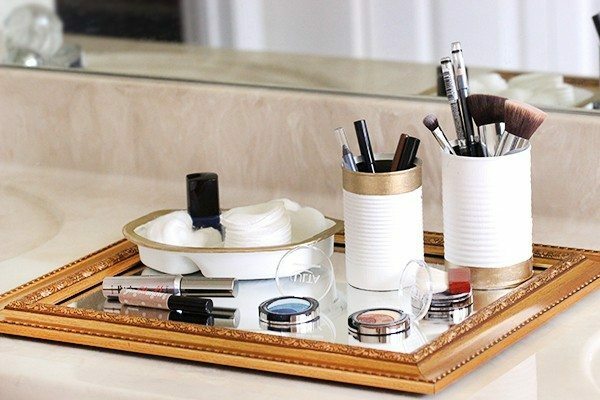 This is a great trash-to-treasure project, since you make a beautiful makeup organizer out of empty soup cans, a microwave tray and a mirror. And if you want to make a long-lasting makeup organizer, then wood is the perfect material to choose. This one here is again made of wood block, but it is repainted. Also, there is a hole to fit in a beautiful bud vase. 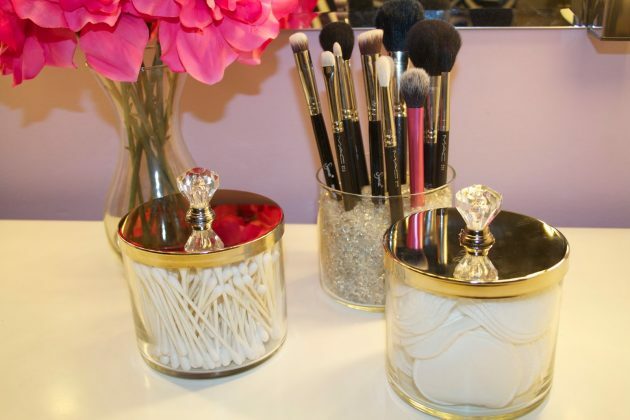 You can also make a makeup brush holder out of a straw dispenser. Decorate it with some spray paint and a blend, blend, blend file. 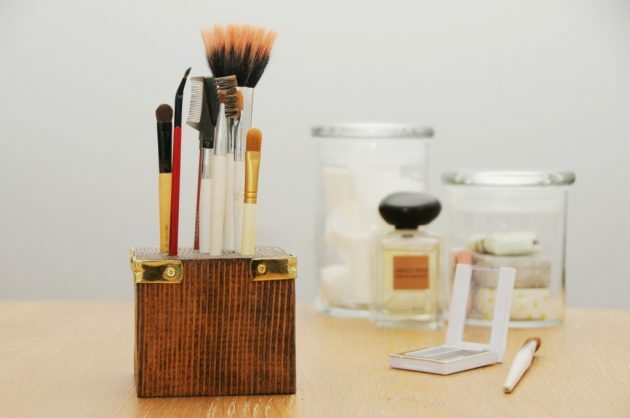 The empty candle jars can be also repurposed into makeup brush holders. Also, you can use them for storing your cotton pads and q-tips. And in case you some old skate board at home that you don’t really know what to do wit it, well, maybe you can turn it into a makeup shelf. Attach rope string on both sides and hang it on the wall in your bedroom or bathroom. You will also need to have a makeup brush holder for when you are travelling, so, how about you make some out a leather scrap. Or another alternative to a traveler makeup brush holder can be out of a sushi mat. 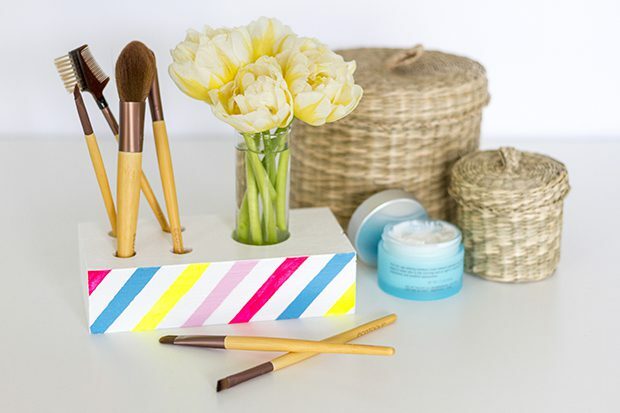 Here is one more project for a wood makeup brush holder that can be made in no time. And this DIY project of a magnetic makeup board is definitely one of the most popular. This is because one such board keeps your makeup tools organized and displays them in a way to find anything you need at the right moment. The good thing about making makeup brush holders on you own is that you can decorate them in the way you like. 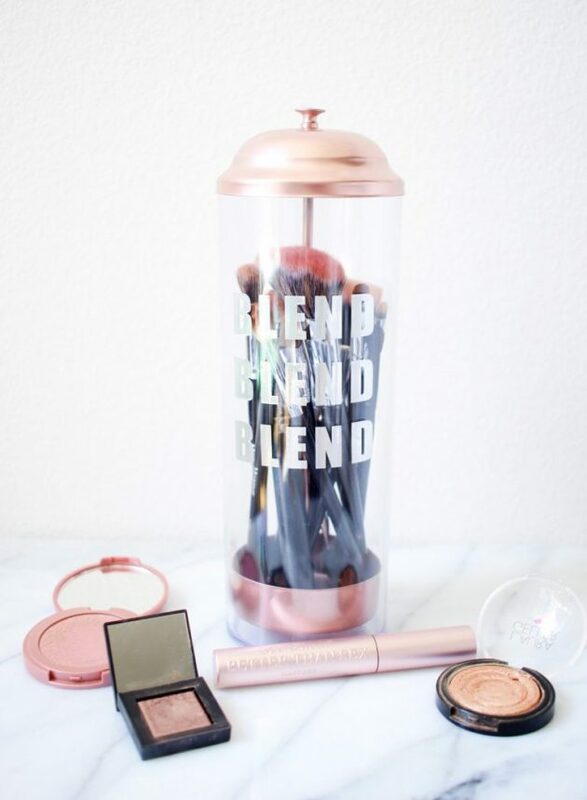 So, add some beautiful quotes on them that will make your beauty routine even better. 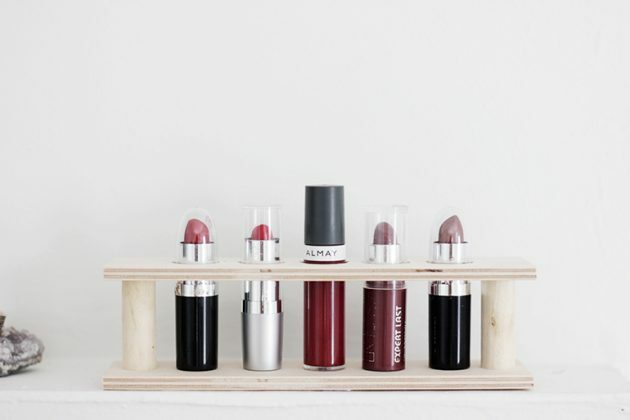 And the last project for today is of a lipstick holder made up of wood. Easy-to-make but quite long-lasting, so how about you try it. So, which one from the above DIY makeup organizers would you try to make? Tell us in the comments and of course, stay up to date with the content of Fashionsy to find many other DIY projects that you can try to make.